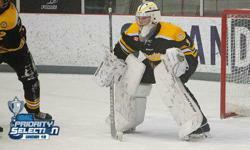 Markham Waxers are pleased to announce a reduction in house league goalie registration fees. Dedicated goalies can register to play full-time in Atom (ages 9-10) through Midget/Juvenile (ages 15-20) for $150. Players must have experience playing goalie to qualify. Low fees coupled with our free, weekly Goalie Clinic make Waxers House League the premier association for house league goalies. Spots are limited, so register early.